Monday is the fourth anniversary of the death of Steve Jobs, a solemn occasion remembered by Apple Chief Executive Tim Cook in an email sent to his company's staff, in which he recalled a "brilliant person" who left an undeniable impact on those around him. "Today marks four years since Steve passed away," Cook wrote in the email, republished by The Telegraph. "On that day, the world lost a visionary. 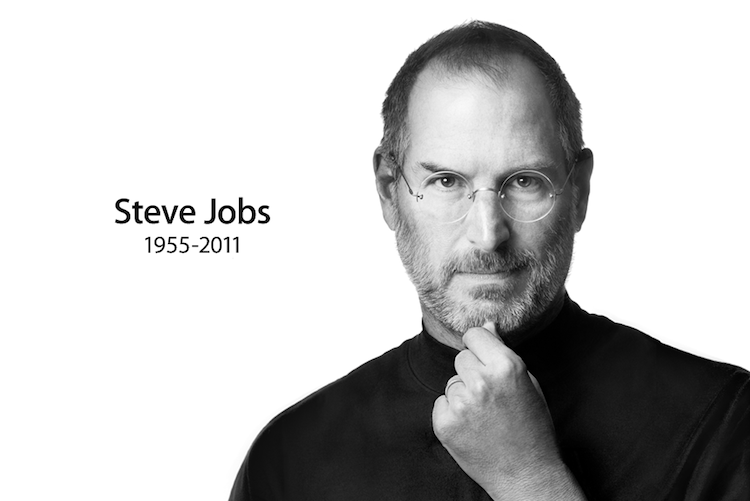 We at Apple lost a leader, a mentor, and many of us lost a dear friend." Cook has also marked the annual occasion in years past with a company-wide email, asking employees to honor and remember Jobs. Last year, he told the staff to reflect on how the products created under Jobs have impacted not only the technology industry, but also the world. Having become a close friend and confidant of Jobs before his passing, Cook frequently speaks openly about how much Jobs meant to him. In an interview on The Late Show with Stephen Colbert last month, Cook said that Jobs was "a joy to work with," and that he always demanded the best out of his employees. "I miss him every day, Cook said. In his latest letter sent out Monday, Cook recalled the legacy of Jobs, particularly in the team at Apple and the products that they create. He also spoke of the joy that Jobs brought to his family, and how important his children were to him. He told me several times in his final years that he hoped to live long enough to see some of the milestones in his children's lives. I was in his office over the summer with Laurene and their youngest daughter. Messages and drawings from his kids to their father are still there on Steve's whiteboard.